MW congratulates the winners of the MW18 GLAMi Awards! 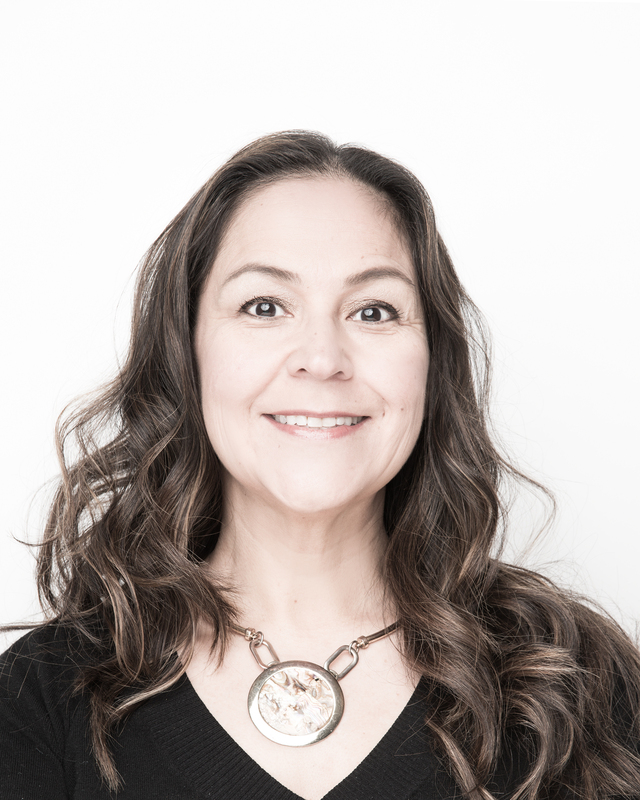 Winners of the 2018 GLAMi Awards Announced in Vancouver, B.C. More than 550 leaders from museums, libraries, archives and galleries around the world gathered at the MW18 Conference in Vancouver on Friday, April 20 to recognize the year’s best innovations in the sector at the annual GLAMi awards. Winners were selected by an international committee of judges, chaired by Steven Beasley, Director of Digital Media at Chicago’s Museum of Science and Industry, and Jane Alexander, Chief Information/Digital Officer at the Cleveland Museum of Art. Since the dawn of the Internet age, galleries, libraries, archives, and museums (referred to as GLAMi institutions) have been pushing the envelope on what technology can do to preserve, display, and showcase cultural treasures. MW’s annual conferences have been a platform for showcasing and disseminating this important work since 1997. Formerly the “Best of the Web” Awards, the GLAMies were relaunched at MW’s 20th conference in LA last year to showcase the best work the cultural sector has done to engage, inform and excite people both on the Web and across myriad emerging and ever-changing platforms. Whether it’s social media, virtual reality, augmented reality, audio and video tours, apps, or anything in between, the GLAMi Awards honor the projects and people that allow us to visit far-away places, explore ancient artifacts, or connect with the natural world, using amazing, often cutting-edge technologies and practices. MW’s 22nd conference wrapped up in Vancouver, British Columbia, on Saturday, April 21, with attendees from more than 25 countries and 300+ worldwide galleries, libraries, archives and museums. Judges were assigned to 1-2 categories and read all submissions in those categories. No judge was assigned to a category in which their museum entered a submission. The annual North American gathering of the best and the brightest in the cultural and tech sectors is an opportunity for museum professionals, product developers, researchers and students to talk innovation as it relates to the stewards of the world’s history and heritage. Next year’s conference and GLAMi awards will be hosted in Boston April 2-6, 2019. 2018 GLAMi Co-chairs Jane Alexander and Steven Beasley congratulate John Stack of the Science Museum, London. Procrastinator’s salvation! Join the MW18 proposal-writing workshop at 5pm EDT on Thursday, September 28 via Facebook Live or in person at the historic Peale Center to polish or – let’s face it – write your #MW18 proposal. 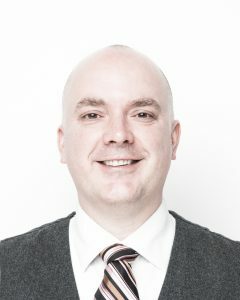 Get help connecting to possible co-presenters and past research on similar topics. Think through how to make your paper and presentation accessible. Most importantly, get yourself to Vancouver April 18-21, 2018! Can’t make it then? A video archive of the session will be available after the event. Also feel free to contact MW with questions about your proposal. at The Peale Center in Baltimore, followed by #drinkingaboutmuseums at Ida B’s Table! MW18 Call for Proposals closes September 30! The Call for Proposals for MW18 papers, workshops, professional forums, and how-to sessions is open through September 30, 2017. You may propose demonstrations and lightning talks through December 31. Join us in Vancouver for MW18, April 18-21, 2018! Learn about the most innovative and trend-setting projects of the year and meet international leaders in the GLAM (galleries, libraries, archives and museums) sector. Do you have or know of an innovative project completed between April 2017 and April 2018? You can nominate it for a GLAMi award until March 11, 2018! MW conferences do not have pre-determined themes; instead, the program is built from the ground up based on what the community proposes. You may propose a session on any topic relevant to the field. The program is selected by an international committee of cultural heritage professionals, and reflects the issues and ideas of greatest interest and urgency in each year. Authors submitting proposals by September 30, 2017 are notified if their paper has been accepted and the draft program is announced by December 1, 2017 when registration opens. Authors proposing demonstrations and lightning talks are notified by February 1, 2018 if their proposal has been accepted. We endeavor to contact and give feedback to authors whose proposals have not been accepted as well, but due to the volume of proposals received, we cannot guarantee we’ll be able to do this in all cases. Want to know what an MW program is made of? You can find the entire archive of past MW papers since the conference’s founding in 1997 freely available online. Need help attending MW18? Apply for scholarships and volunteer positions by December 1, 2017. Sign up to get the latest news and updates for MW18 in Vancouver. MW17 was an action-packed four days, with tours, workshops, and sessions about everything from inclusive design to big data to embracing failure. For a wrap-up of these activities and all the #MW17 Twitter takeaways, visit the conference Storify and see photos on Flickr. More content, including transcripts and videos of selected sessions, are being uploaded to the MW17 conference site. Please take a few minutes to complete this anonymous post-conference survey. Your participation will help us improve the 2018 MW Conference in Vancouver, British Columbia, Canada. Do you already have a great idea for an MW18 session or speaker? Capture your thoughts now by starting your MW18 proposal. 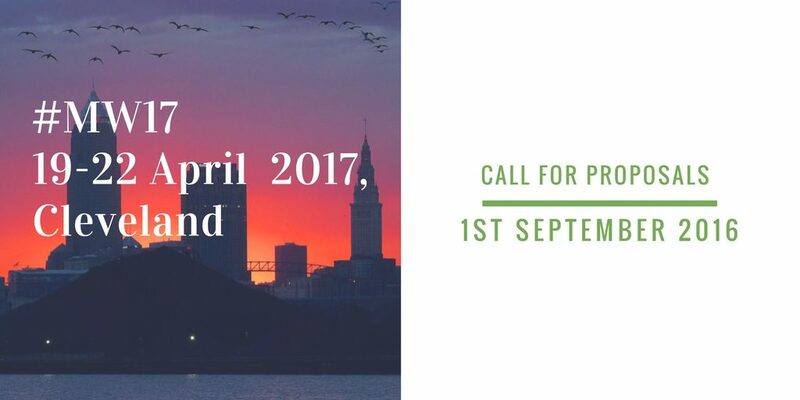 You’ll have until Sept 30, 2017 to complete and submit your proposal for review by our international program committee. More than 550 leaders from museums, libraries, archives and galleries around the world gathered at the MW17 Conference in Cleveland, Ohio on Friday, April 21 to recognize the year’s best innovations in the sector at the annual GLAMi awards. Winners were selected by an international committee of judges, chaired by Steven Beasley, Director of Digital Media at Chicago’s Museum of Science and Industry, and Jane Alexander, Chief Information Officer at the Cleveland Museum of Art. MW’s 21st conference hosted attendees from more than 33 countries and 300+ worldwide galleries, libraries, archives and museums. The annual North American gathering of the best and the brightest in the cultural and tech sectors is an opportunity for museum professionals, product developers, researchers and students to talk innovation as it relates to the stewards of the world’s history and heritage. Next year’s conference and GLAMi awards will be hosted in Vancouver April 18-21, 2018. This year’s GLAMi Award winners include the following. Complete descriptions of the winning projects and nominees are listed on the MW17 site. In the Education Category Winner: Museum At Your Fingertips: Telepresence Tours For Schools from the Balboa Park Online Collaborative, USA. The Museum at Your Fingertips project tested the ability of a telepresence robot, the BeamPro by Suitable Technologies, to provide meaningful and engaging remote tours to classrooms that lack the resources to visit museums in person. The two organizations worked together to design a tour program that took full advantage of the BeamPro’s capabilities to provide unique opportunities to students to access museum spaces and experiences. The beautiful Explore section of the National Museums of Scotland’s website provides visitors with an “online equivalent of a visit to one of our four museums” by bringing together the expanding catalogue of online content. The museum held a number of photo shoots around the Salt Lake City Community, inviting individuals to come and share a select set of visible physical traits through photos of themselves, then created a digital interface into which all of the photos could be searched and viewed according to like traits. The museum then created a custom piece of software to allow all of the visitors to the exhibition to participate in the project digitally. By the end of the 3-month exhibition, more than 1,600 had added their live photographs to our digital Trait Tree. This was among the most popular elements in the exhibition with more than 70% of visitors engaging deeply with—and chatting about—their place on the Trait Tree. Hands-on and ears-on, Volume is the first major exhibition of New Zealand popular music. What sets Volume apart is participation – the museum wanted visitors to put themselves in the exhibition and have a go at making music themselves. They developed four major digital interactive experiences to explore different aspects of the music industry, demonstrating the range of creative roles and skills in the sector – beyond being a rock star. Extensive prototyping and user-testing ensured they had well-crafted and accessible visitor experience. Through the use of virtual reality (VR), visitors were transported to Guatemala with an experience that was part of the Empowering Women exhibition! Visitors were immersed in the vivid sights and sounds of weavers’ workshops, a fair-trade textile store, ancient Maya ruins, a kitchen where women come together to prepare meals, a bustling outdoor market, and more. In 2016, the Cleveland Museum of Art opened the doors to the ArtLens Studio, a completely re-imagined expansion of the museum’s original Studio Play. Astonishing in its visionary breadth, the magic of ArtLens Studio is deceptive in its simplicity. While visitors are having fun, they are also looking closer, making connections and gaining comprehension that will enhance their appreciation of art throughout the museum. At the Reveal and Zoom Wall, visitors use their bodies to reveal artworks or zoom into an artwork in great detail. In the Create Studio, visitors create their own unique artworks at the four stations: Pottery Wheel, Collage Maker, Portrait Maker and Paint Play. In 2016, the National Archives partnered with American Experience PBS to launch #ElectionCollection, a social media campaign that showcased the holdings of our thirteen Presidential Libraries during the 2016 election cycle. #ElectionCollection unified our various institutional parts–thirteen Presidential Libraries, regional archives, the flagship museum in Washington, DC–and raised the public profile of our institution. In the run-up to the RA’s 250th birthday in 2018, the museum wanted to overhaul their website and social media content. Through a tremendous amount of research, they determined they would reach new audiences by being genuinely valuable, not by telling audiences that they were valuable. In practice, it was a process of stopping everything that was published online and starting again – this time with their values, objectives and audiences at the core of everything they did. The SFMOMA app is the first mobile experience in the cultural sector to combine cutting-edge location-aware technology with rich and diverse audio storytelling, in what we hope is a new standard for the field. The app features a new breed of guided narratives that take you through the museum’s seven floors of galleries and public spaces, as well as onto the surrounding streets of San Francisco. These 15–45 minute Immersive Walks feature a range of fascinating and unexpected hosts, including high-wire walker Philippe Petit, Avery Trufelman from the 99% Invisible podcast, Academy Award-winning documentarian Errol Morris, and comedians Martin Starr and Kumail Nanjiani from HBO’s Silicon Valley. Production values are akin to those of This American Life or Radio Lab, with richly layered soundtracks accompanying personal narratives. MW’s annual meetings are always opportunities for the community to come together and offer mutual support, but this year MW17 will serve a particularly urgent need to help our U.S. colleagues strategize and respond to the recent attacks on cultural organizations and creative practice that are represented by the budget proposed by the current U.S. administration, aimed at eliminating all Federal funding for the arts and humanities as well as deep cuts for scientific agencies. Beyond the obvious detriment to our anchor institutions and cultural heritage, these attacks are aligned with a similar de-emphasis on the representation of those in our society who have historically been excluded and unheard from in our shared discourse. As a result, it’s now more important than ever to hear, amplify, and ally with the concerns of all citizens, be they persons with disabilities, those who do not subscribe to a heteronormative viewpoint of the world, people of color, and of all religions, ethnicities, and gender identifications. As has been reported by Hyperallergic and the American Alliance of Museums (AAM) among others, representatives from both sides of the U.S. Congress have recently joined in publicly calling for support and funding for the IMLS and NEA. AAM’s website offers tips and links to add your voice and urge the House and the Senate to support these critical agencies and through them, the work of thousands of essential organizations and initiatives around the country. In a recent newsletter, The Baltimore National Heritage Area also offered a handy set of links that allow you to send a customizable message to your elected representatives in Congress through the National Humanities Alliance and/or the Americans for the Arts Action Fund and urge them to oppose any attempt to eliminate or cut funding to the National Heritage Area program, the National Endowment for the Arts, the National Endowment for Humanities, and the Institute Of Museum and Library Services. We also oppose the resolution passed by Congress and signed into law by the President that compromises the privacy of Internet users. This attack furthers the attack on Net Neutrality and has deep implications for creators and stewards of culture everywhere, since the Internet is now our common platform, culture, and heritage. What other timely topics would you like to see addressed at the Conference in Cleveland? Where do you need help, on projects or larger issues? Propose them for the MW17 Clinic or Birds of a Feather Breakfast. We look forward to talking with you about it all in Cleveland! > More hotel rooms are available at the conference hotel! Call for MW17 Demonstration and Lightning Talk Proposals Closes Dec 31! You have until 11:59pm at the International Dateline on December 31, 2016 to submit your lightning talk and demonstration proposals for MW17! Check out the draft program and add your voice! Registration for MW’s 21st conference is open with the early registration rate of $700 through 31st December, 2016. The MW17 draft program is now online. The call for proposals for lightning talks and demonstrations is still open and closes Dec 31, 2016 at 11:59pm at the International Date Line. Book your room at the conference hotel with our discounted rate. Rich and I are delighted to announce that Sina Bahram will be joining us as Guest Co-chair of MW’s 21st conference in Cleveland, Ohio 19-22 April, 2017. Sina Bahram is an internationally recognized expert on inclusive design. His collaboration on the development of the MW17 program and community at our Cleveland meeting will advance the state-of-the-art of accessible technology in the cultural heritage field, and underscores the critical importance of expanding the audiences served by museums, galleries, libraries and archives worldwide. We are excited by the new ideas, vision, and connections that Sina will bring to the MW17 conference and conversations. Check out the full press release. We look forward to working more closely with Sina and the entire community on making innovation accessible at MW17 and beyond! Please join us in welcoming Sina Bahram to this new role in the MW community, and feel free to share your ideas and suggestions for MW17 with us all. Storytelling at its best can change the world. This weekend, the ancient Greek tale Antigone is at the heart of an important dialogue about activism and empowerment. The Onassis Cultural Center in New York hosts the Antigone Now festival from October 13 -16, inspired by Sophocles’ tragic story of a young woman’s fatal choice between her personal ethics and the rule of law. Premiering a new performance by Carrie Mae Weems, Antigone Now explores contemporary resonances with this classical figure through visual and performing arts, family programs, and digital media. Antigone’s struggle puts our own Civil Rights movement and today’s interrogation of the judicial system and the role of law enforcement in American society into a human context that is millennia old. Her story reminds us that our own stories are part of a deep tradition of making a world for ourselves in which we don’t just survive, but we thrive. The Festival also brings the much-needed “light and the warmth of stories authentically told and shared,” as Seph Rodney has written, in the form of a digital activism initiative called #iSTANDfor. Drawing from Antigone’s famed courage in standing for what she believed, #iSTANDfor encourages people around the world to share stories of what matters to them via their social media channels and a dedicated web site (http://www.istandfor.net). #iSTANDfor celebrates people around the globe whose individual and collective acts of heroism and bravery are changing our world for the better. For those of us at the MuseWeb Foundation, the new initiative from the international Museums and the Web Conference, not only does the festival affirm our belief in the power of storytelling, it also reminds us of the importance of visual and performing arts in expressing those stories. At MuseWeb, we stand for many things—for inclusion, innovation, and democratic access to culture; for creativity, participation, and free and open data; for libraries, galleries, archives, public monuments and community cultural centers. We stand for museums and the people their collections and cultural knowledge are here to serve both today and for the millennia to come. MuseWeb is joining the #iSTANDfor campaign by showing our support and our belief that museums, both big and small, matter. Please help us tell the world you stand for museums. Use the #iSTANDfor #museumshashtags on social media and tell us why museums are so critical to you in today’s rapidly changing world. Get our attention @museweb on Twitter, Facebook and Instagram. And, if you’re in New York later this week, the Antigone Now is free and open to the public at the Onassis Cultural Center New York (645 5th Avenue, New York, NY). Visit the festival website at http://www.onassisfestivalny.org. Find out more about the MuseWeb Foundation at http://www.museweb.us/about. Join us in Cleveland for the 21st annual MW conference: April 19-22, 2017 at the Hilton Cleveland Downtown, 100 Lakeside Avenue East, Cleveland, Ohio, 44114, USA. Call for Exhibitor Briefing, Demo, and Lighting Talk is open through December 31. Submit your proposals here. Find out about exhibiting and sponsorship opportunities at MW 2017. Stay up to dates with all the key dates. Join us for the 21st Museums and the Web Conference in Cleveland, 19-22 April 2017. The call for proposals will open on 1 September 2016 and closes 30 September. June 30, 1-3pm: Peabody Heights Brewery at Historic Old Oriole Park, 401 East 30th St, Baltimore, MD 21218. RSVP to reserve your spot. July 6, 7-9pm: ETC Haven Campus, 101 N. Haven Street, 3rd Floor, Baltimore, MD 21224. RSVP to reserve your spot. You can update your existing proposal(s) and submit more at any time until 11:59pm on July 10, 2016. Check out the FAQs and feel free to contact us by email if you have questions or need help. Get funded to tell your stories of Baltimore’s culture and heritage! Be Here: Baltimore is a mobile storytelling project about the culture and heritage of Baltimore. 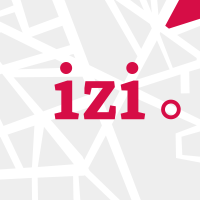 A $25,000 fund is being sponsored by izi.TRAVEL to help the MuseWeb Foundation support new and diverse voices in telling the stories of the city through open and location-based platforms. The Call for Proposals for Be Here: Baltimore funding is now open. Submit your proposals no later than July 10, 2016; win $1,000+ and launch your project by August 15! We’d like to thank everyone who participated in MW’s landmark 20th anniversary conference in LA April 6-9! MWXX was our biggest gathering ever with almost 800 attendees from 32 countries, representing 467 institutions. It was great to see so many old friends as well as lots of new faces: about half of the participants were joining the MW community for the first time. It took more than 172 gallons of coffee and an undisclosed number of other adult beverages to see us through the 90+ sessions in the MWXX program, not to mention all the events, museum visits, crowd-curated bar talks and karaoke! It was impossible to squeeze all the best stuff into each day as the program committee had 334 proposals to choose from; the most competitive categories were Professional Forums with a 28% acceptance rate, followed by How To sessions at 30% and Lightning Talks, of which only 1/3 were accepted. Thank you to all the authors, presenters, and keynote speakers, as well as the indefatigable Program, GLAMi, and Local Committees: you provide the life-blood of the conference and the community’s conversations. We are also grateful to the volunteers, sponsors, partners, exhibitors and LA hosts who made the event possible. Many participants have continued to contribute to the conversation by posting slides, Storifys, and reflections on #MWXX as well; we’ve gathered as many links below as we are aware of, but please add to the list. If you are interested in serving on the Program Committee, as a GLAMi judge, or as a volunteer at MW17 in Cleveland, please let us know! We’re also keen to have your input into our new non-profit initiative: MuseWeb. The MuseWeb Foundation will support transformative projects, capacity-building, and sustainable innovation for galleries, libraries, archives, and museums (GLAMs). In addition to the annual MW conference and publications, MuseWeb’s expanded scope of work will include new ways of collaborating with the community of museum technology professionals, developing shared platforms, facilitating corporate partnerships, and providing grants for innovative GLAM projects. How might we best support the GLAM sector as a space for the inspiration, curation and creation of culture, by, with, and for people? All the Periscopes recordings can be found here. Know of more round-ups and responses to #MWXX? Please share links in the comments below! thank you so much for joining us in Los Angeles. Please take a few minutes to complete this anonymous post conference survey. Your participation will allow us to improve the next MW Meeting. Few places are as rich in history, culture and innovation as the world’s cities, yet we tend to serve the city up as a series of isolated experiences with no connection or continuity as visitors and citizens move from airport or station, hotel or home, to museum, park, library, performance, shop and restaurant. How can we use the power of storytelling and mobile technologies to knit together a whole that is greater than the sum of its parts? How can we create “network effects” that mean every urban experience is better because it is woven into the full diversity of voices that make up the fabric of the city? How might the very act of connecting its stories change the city itself? izi.TRAVEL, the international mobile storytelling company, is leading a “Connected Cities” initiative to encourage the creation of high quality digital content that connects the stories and people that live in and visit US cities. They are offering $25,000 for collaborative teams in multiple US cities to create content that can be accessed through a range of platforms, including izi.TRAVEL’s mobile app. The Connected Cities initiative kicks off this month with the Baltimore Stories Prize. Please join us at the Baltimore Museum of Art on March 22 for a free working lunch and charrette, followed by drinks at Gertrude’s, to help launch the Baltimore Stories Prize and participate in an afternoon of workshops and brainstorming about how we can make Baltimore a more connected city through its stories. At the end of the day, we aim to have formed our plans and a steering committee to manage and award the Baltimore Stories Prize by the end of summer 2016. N.B. This event is free but in two parts; reserve one or both tickets. 12-1pm: Mobile storytelling workshop with lunch: create a mobile tour in 30 minutes and learn about the open technology that has inspired the Connected Cities initiative. 1-6:30pm: Baltimore Stories Prize Charrette: help design and launch the first of the Connected Cities funds. Bring your museum websites, mobile apps and videos to Museums and the Web 2016 to be reviewed by peers and experts in a Crit Room. Submissions are due by March 31, 2016 and the Crits all take place on Friday 8 April. To submit a project use the MW submission form and select the appropriate type of Crit room (Inclusive Design Crit, Mobile Crit, Video Crit, and Web Crit). A representative of the project (preferably the manager/designer/developer/videographer) must be registered for the conference and in attendance to have the project reviewed. In the session representatives explain their intentions and the expert panel reviews the project assessing how well those intentions have been realized and suggesting strategies that might have improved it. Submit your project for a critique on a first-come, first served basis (approximately four projects can be assessed in each 1.5 hour crit session). Storytelling: tall tales or the future of museums? Museums and the Web Roundtable in Boston was held on January 27, 2016 at the Revere Hotel in Boston. Museum leader Rob Stein challenged us to reconsider the way we think about the content we produce and its role in ensuring the relevance, sustainability, and impact of museums today and into the future. A panel of local experts on cultural storytelling, crowdsourcing, and digital content delivery, which included Sandy Goldberg, Halsey Burgund and Titus Bicknell, responded to Rob’s provocation. Here are more resources that relates to the round table topics (digital storytelling, museum audio guides, Smart City concept and much more). THIS EVENT WAS MADE POSSIBLE BY THE GENEROUS SUPPORT OF OUR SPONSOR, izi.TRAVEL. Due to the great interest in the special meeting of Museums and the Web in Boston we have moved the event to a larger location, the Revere Hotel. Register now for FREE to secure your place. To register please click here and complete the form. If you are unable to join us in Boston, please tell us where you would like to attend a future MW Roundtable here. Please reserve a space on your calendar to join us for a special meeting of Museums and the Web at the Revere Hotel in Boston on 27 January from 8-10am. Museum leader Rob Stein will challenge us to reconsider the way we think about the content we produce and its role in ensuring the relevance, sustainability, and impact of museums today and into the future. Local experts on cultural storytelling, crowdsourcing, and digital content delivery will respond to Rob’s provocation, and we hope you’ll join the conversation as well! Registration is FREE but seats will be limited and provided on a first-come first-served basis. To register please click here and complete the form. Storytelling: tall tales, or the future of museums? Please save the date for a special breakfast with Museums and the Web at the Revere Hotel Jan 27 from 8-10am. A link to register for FREE will be given next week, but seats will be limited and provided on a first-come, first-served basis. 8:30am Keynote by Rob Stein with response by invited experts Sandy Goldberg, Halsey Burgund and Titus Bicknell. The Museums and the Web Showcase is a new home for documentation of exemplary digital projects and learnings from MW Deep Dives and other events held outside of our annual conferences.